Established in 1994, EDCH holds the credibility of being the most trusted and reliable intelligent Roaming and Revenue management partner that strives to enhance subscribers experience and Mobile Operator business performance at all times. Designed as per GSM standards, EDCH suite of products enables mobile operators to offer seamless customer experience to its subscribers. We help the mobile operators to visibly enhance their revenues while reducing operational cost. EDCH also offers comprehensive roaming solutions specifically Data Clearing, Financial Clearing, Revenue Assurance, Value Added Services, Mobile Money Hub and other customized solutions. EDCH is a regional leader in providing innovative cloud based solutions to more than 50 carriers spread in different geographies. By offering Hub services in the region and connectivity to various Wi-Fi hubs in other regions is an extension of EDCH footprints towards continuous and cost effective global Wi-Fi connectivity. EDCH is the only Data Clearing House based in the Middle East with clients spanning across the globe. Having achieved certifications such as ISO 27001: 2005 and ISO 9001: 2008, EDCH proves that we have taken the necessary steps to protect sensitive information against unauthorized access. 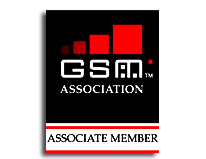 To be a trusted strategic value added solutions provider to telecom and enterprises globally. To deliver innovative telecom and enterprise solutions which enable our clients to offer quality services to their end users. We are equally committed to empowering our employees and service partners to accomplish excellence.